Lecce North (also known as Lecce Emergency Landing Ground) was an airfield just north of Lecce in southern Italy. The airfield was built by the Regia Aeronautica. Between June and August 1943 it was surveyed as a possible airfield site by USAAF 15th AF planners. It had no facilities, except for two small buildings (sheds?) in the northwestern corner. As far as I can trace the airfield was not used by the Allies. 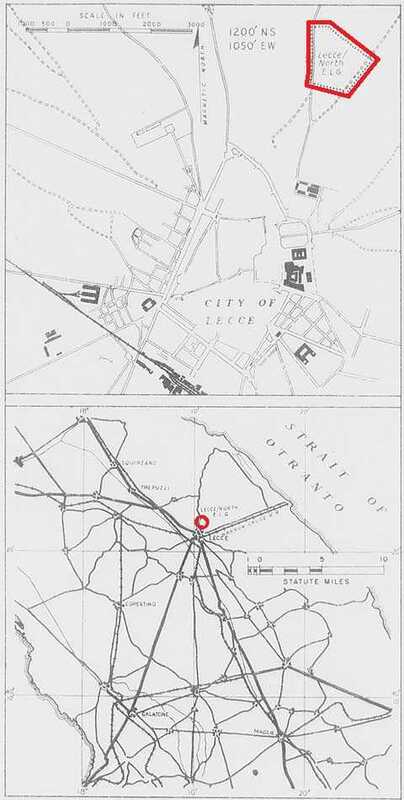 Information about the field during the Italian/German use of the area was not found either. 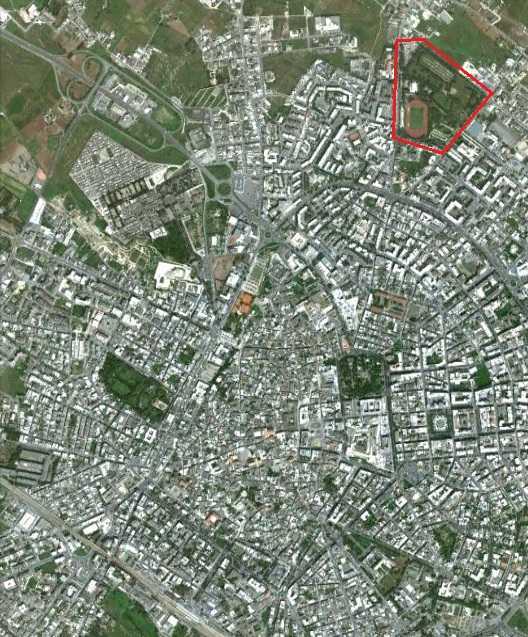 Today, the field is built over by a sportsfield and park on the outskirts of Lecce.